Nearly five decades after Leon Fake bought a brand new 1965 Ford Mustang GT, the Silver Blue convertible is back in his garage thanks to the Auctions America by RM Spring Carlisle auction in Carlisle, Pennsylvania. Fake was one of several bidders chasing the ’65 Mustang Convertible, and fortunately he came out the winner with a final sale price of $34,100. The A-code Mustang GT convertible is finished in Silver Blue with complementary two-tone blue interior and white top, and a white triple-stripe on the lower body matched that of the Ford GT40 race car competing at the time. Under the hood is a 289-cid, 225-hp V-8 engine with a four-barrel carburetor and mated to a four-speed manual transmission. The car also has the GT equipment group that includes five-dial instrument cluster, GT badging, hood accent molding, front disc brakes, fog lamps and dual exhaust with flared chrome extensions. 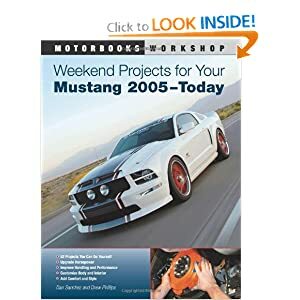 Other options on the Mustang include the factory full-length floor console, radio, whitewall tires and Rally Pac comprised of tachometer and clock.